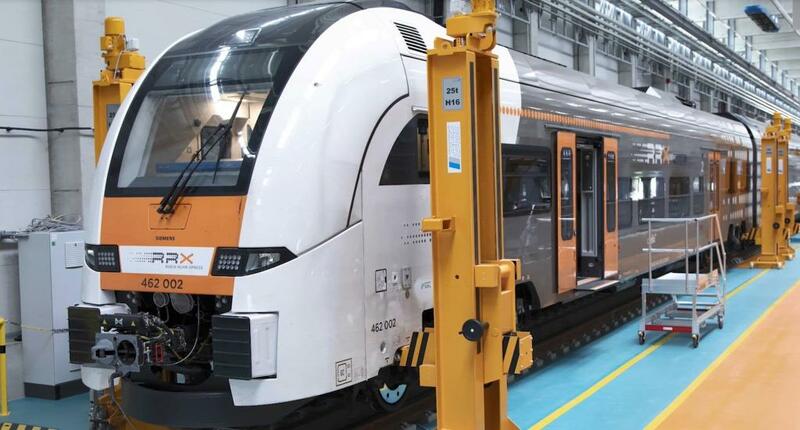 Siemens Mobility GmbH, part of Siemens AG, has opened its first digital rail maintenance centre in Dortmund-Eving, Germany, with Stratasys FDM 3D printing at the heart of its servicing operation. Renowned as Siemens Mobility’s flagship site, the RRX Rail Service Centre maintains around a hundred trains every month – a level of throughput that stretched the company’s supply chain to a breaking point and exacerbated the need of robust manufacturing solutions that meet customer requirements. As a result, Siemens Mobility invested in a StratasysFortus 450mc Production 3D Printer, which allowed it to respond to all internal and customer demands seamlessly by eliminating the need for inventory of selected spare parts and reducing the manufacturing time of these parts by up to 95%. Michael Kuczmik, Head of Additive Manufacturing, Siemens Mobility GmbH, Customer Service said the new maintenance depot now offers the highest level of digitalisation in the rail industry. “We believe our RRX Rail Service Centre is the most advanced train maintenance centre in the world,” Mr Kuczmik said. Tina Eufinger, Business Development Additive Manufacturing, Siemens Mobility Division, said the technology allows the company to 3D print customised replacement parts on-demand much faster than before. “Using the Fortus 450mc we can 3D print spare parts in a matter of hours. Parts that took 6 weeks, can now be produced in 13 hours. Within a week, we can iterate and optimize the design and then 3D print a final, customized production-grade part,” she remarked. Mr Kuczmik said the company is also using Stratasys 3D printing to increase its tooling capabilities. “The ability to 3D print customised tools and spare parts whenever we need them, with no minimum quantity, has transformed our supply chain,” he noted.